There are many dialects in Japan. Different dialects have different suffixes. So, we can tell where people are from by their dialects. Sometimes it is hard to understand a person with a strong dialects. 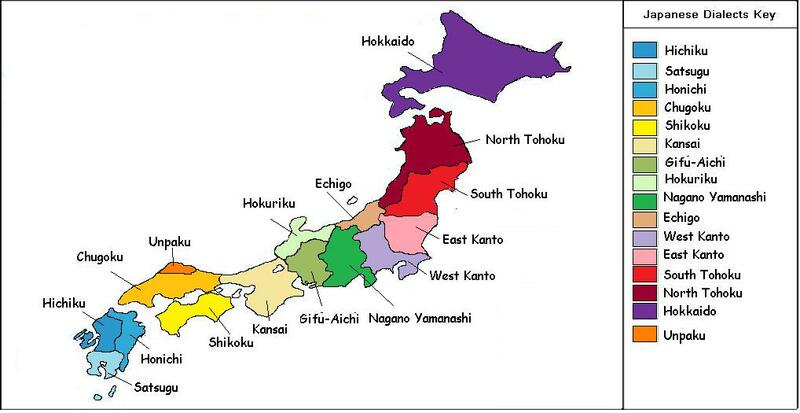 The two major Japanese dialects you will hear on TV are the Kanto and Kansai dialects. The official Japanese used in the TV is based on the Kanto dialect from the Tokyo region. Also, the Emperor speaks mostly in the official Jaapnese. The Kansai dialect is used in the area of Osaka and Kyoto. 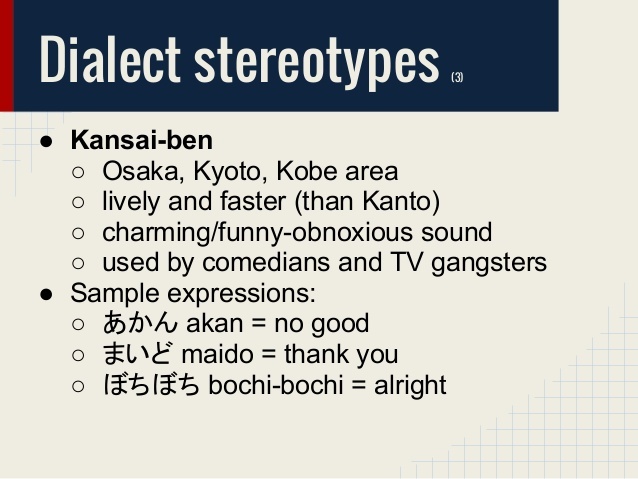 The Kansai dialect is said to be funny and friendly.